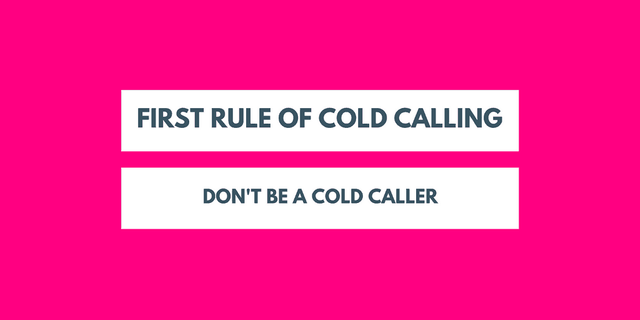 Her first rule of cold calling? "Don't be a cold caller!" The other nine include tips on researching, the call/email conundrum, adding value, not stalking, qualifying fast, fixing a process, and more. It’s Up to You… Being a Cold Caller can be the worst job in the world, the endless rejection, the Groundhog feeling. But, guess what? If that’s what you expect, that’s what you get… It can also be the best and most rewarding job in the world…if you’re GREAT at it. That’s where you have the choice. It’s a choice.